Subaru vehicles are the lowest cost to own of any automaker in America. KBB and Vincentric say Crosstrek is the best small all-wheel-drive CUV. Based on Kelley Blue Book’s 5-Year Cost to Own data for new cars for the initial five-year ownership period, Subaru’s overall vehicle lineup incurred less depreciation than any other automaker and offered superior fuel efficiency. This award is not new for Subaru, as the Japanese automaker has scored the distinction for the third time since the brand was first recognized in 2015. 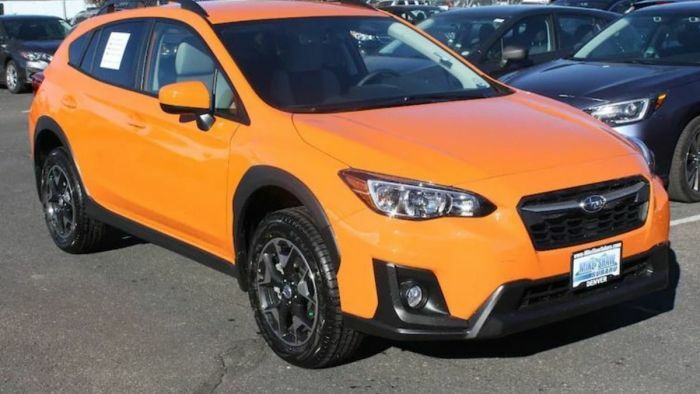 The 2019 Crosstrek small SUV holds its value better than all other Subaru vehicles in the lineup and is the lowest cost-to-own vehicle in the popular Compact SUV / Crossover category. KBB adds up all costs associated with a car for a 5 year period to come up with the winners. Costs such as fuel, maintenance, repairs, financing, insurance and one of the biggest factors of all, depreciation are all factors that affect a vehicle’s total ownership costs. KBB says, "With a starting price under $22,000 and low long-term ownership costs, the Crosstrek is proof that an adventurous vehicle doesn't have to cost a fortune." The 2019 Subaru Crosstrek has a 5-Year Cost to Own of $35,321. The second place 2019 Hyundai Tucson costs $35,864 to own for 5 years, and the third place 2019 Kia Sportage costs $38,154. Also, in Vencentric’s recent 2019 Lowest Cost to Own in America awards, Crosstrek and Outback have the lowest cost of ownership in their class. The 2019 Subaru Crosstrek wins in the Compact SUV/Crossover class and the 2019 Subaru Outback takes the best in the Mid-Size SUV/Crossover class. The 2019 Subaru Impreza won the 2019 Vincentric Best Value in America award in the Compact Hatchback segment. It’s good news for customers looking for fuel-efficient all-wheel-drive vehicles that they plan on keeping for 5 or more years. These two cost-to-own awards tell consumers, your cost to own a new 2019 Subaru Crosstrek, Forester, Outback, Ascent or Impreza will be less than vehicles from other automakers.